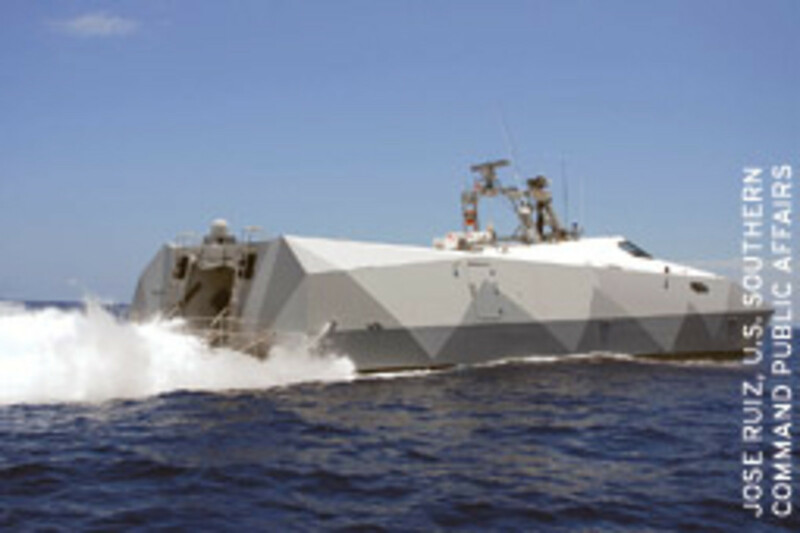 STEALTH SHIP — The Department of Defense high-speed experimental boat Stiletto departs U.S. Coast Guard Station Miami Beach en route to a training exercise area near the South Florida coast. 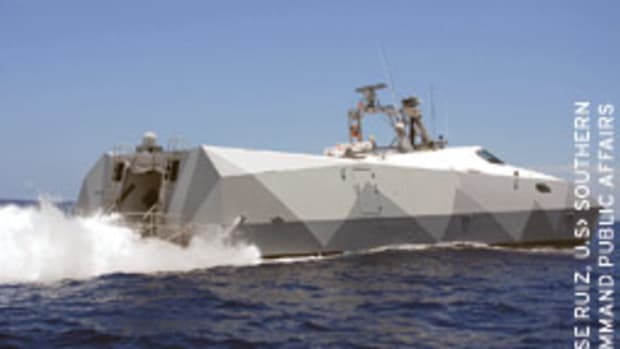 The 88-foot-long, 60-ton vessel is under the tactical control of Joint Interagency Task Force South to counter illicit trafficking operations. 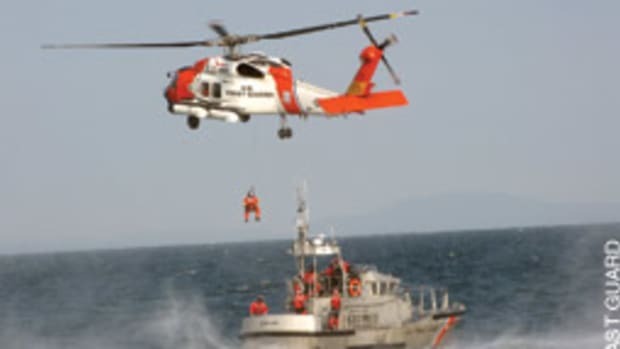 The Coast Guard rescued two men and a dog after their boat began to sink three miles south of Rockaway Beach, N.Y.
Coast Guard Sector New York received a cell phone call from the owner of the 40-footer, stating the vessel was taking on water. A 47-foot rescue boat crew was launched from Coast Guard Station Sandy Hook and rescued the two boaters and their dog before the boat sank. Sector Long Island Sound, Conn.
A woman was rescued by three off-duty Coast Guardsmen in the Thames River near City Pier. 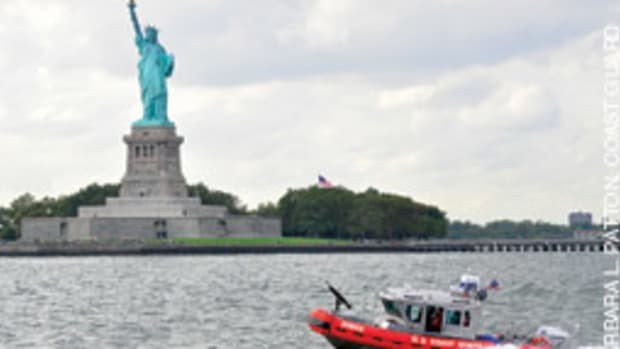 Coast Guard Sector Long Island Sound received a report from the commanding officer of the Coast Guard cutter Willow stating that the three crewmembers were returning to the ship when they heard splashing and a woman’s cry for help at the end of City Pier, according to the Coast Guard. The crewmembers attempted to assist the woman in the water. 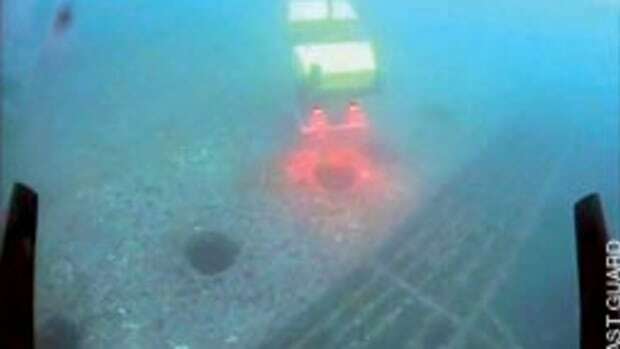 Soon after, one crewmember decided to enter the water and was able to rescue the woman. A Coast Guard crew and a good Samaritan rescued six people from their grounded vessel near Keyport, N.J.
Coast Guard Station Sandy Hook received the call on channel 16. 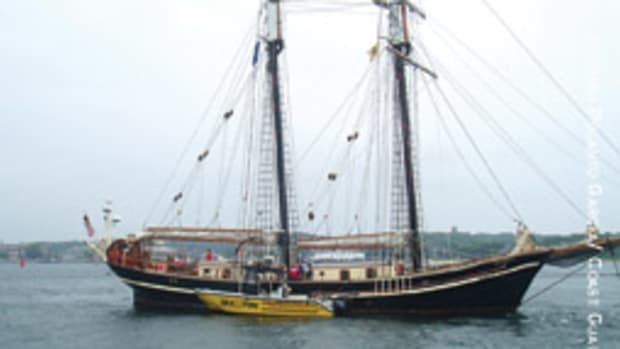 The Coast Guard crew was able to rescue four people from the grounded vessel. A good Samaritan also responded and rescued the other two people from the vessel.